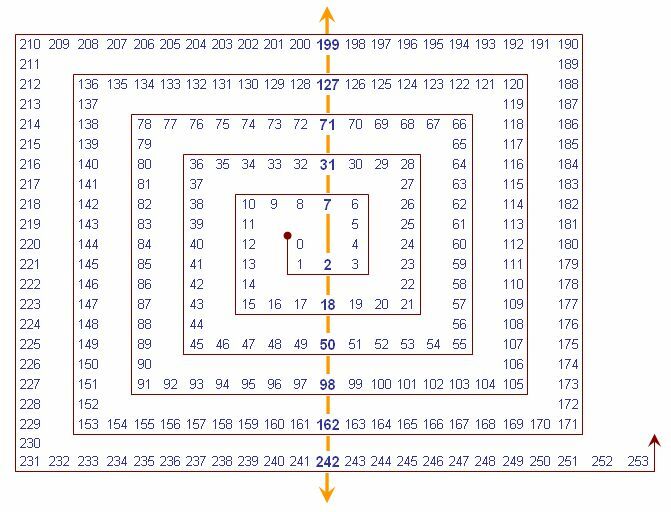 Sequence found by reading the numbers in increasing order on the vertical line containing 2 of the square spiral whose vertices are the triangular numbers (A000217) - see Pol's comments in other sequences visible in this numerical spiral. Also A077591 (without first term) and A157914 interleaved. Bruno Berselli, Illustration of initial terms: An origin of A195605. a(n) = a(-n-2) = 2*a(n-1)-2*a(n-3)+a(n-4). Cf. A047621 (contains first differences), A016754 (contains the sum of any two consecutive terms). Cf. A033585, A069129, A077221, A102083, A139098, A139271-A139277, A139592, A139593, A188135, A194268, A194431, A195241 [incomplete list]. Bruno Berselli, Sep 21 2011 - based on remarks and sequences by Omar E. Pol.